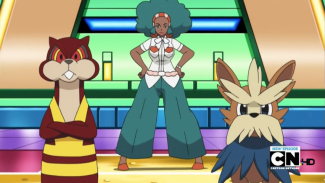 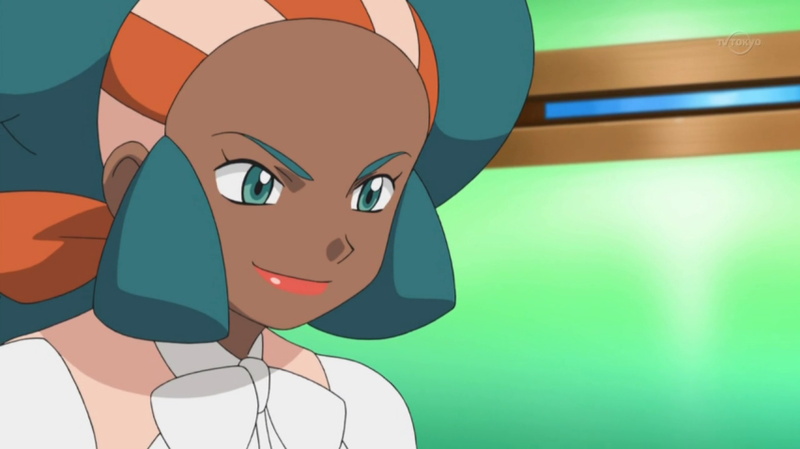 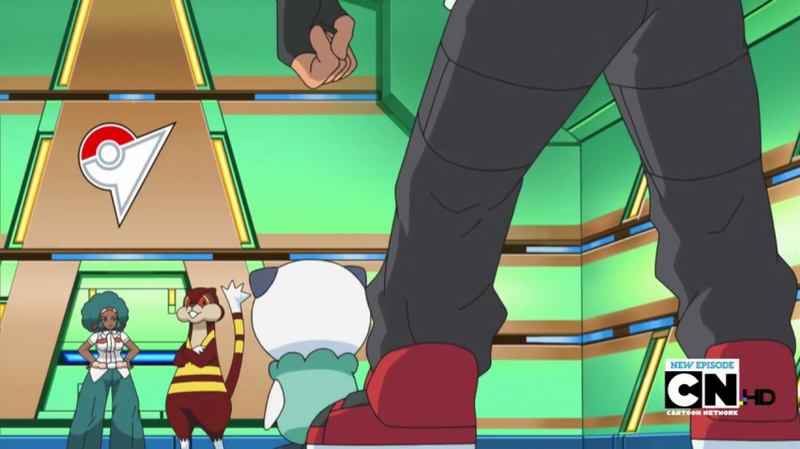 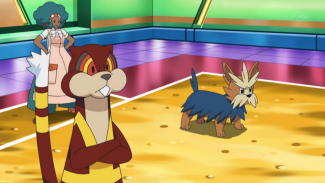 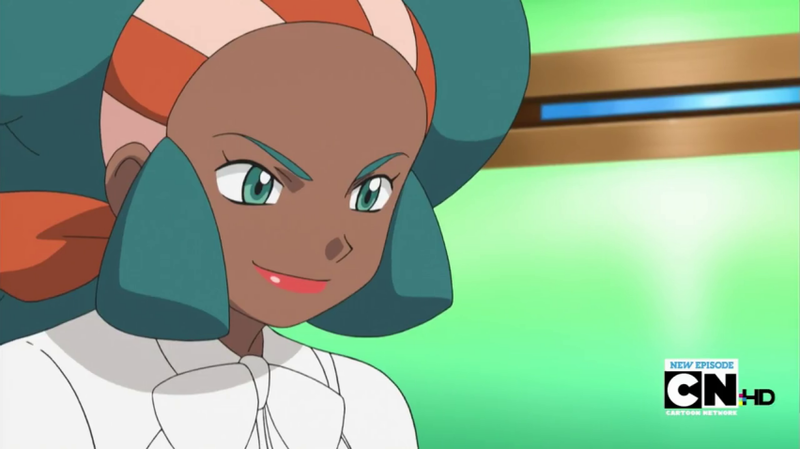 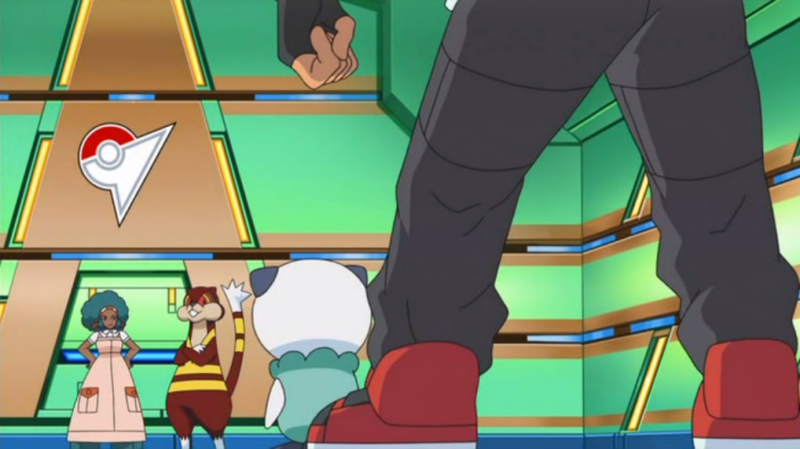 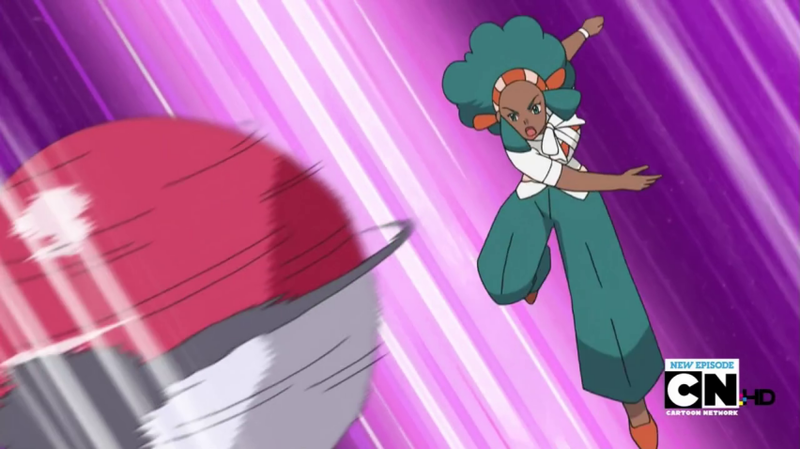 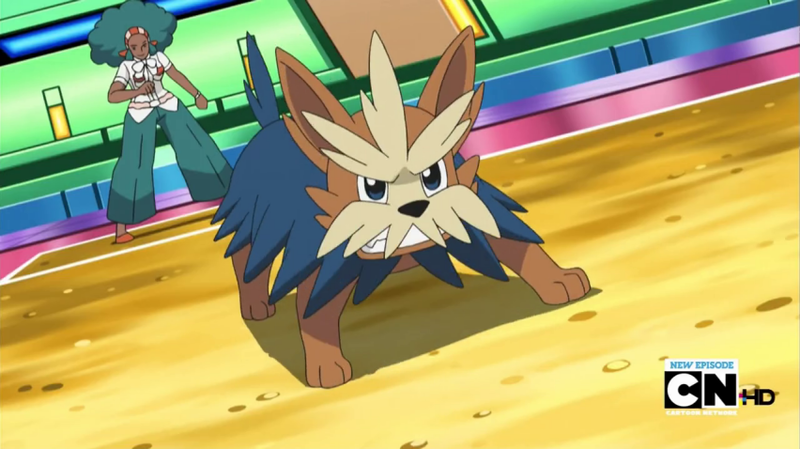 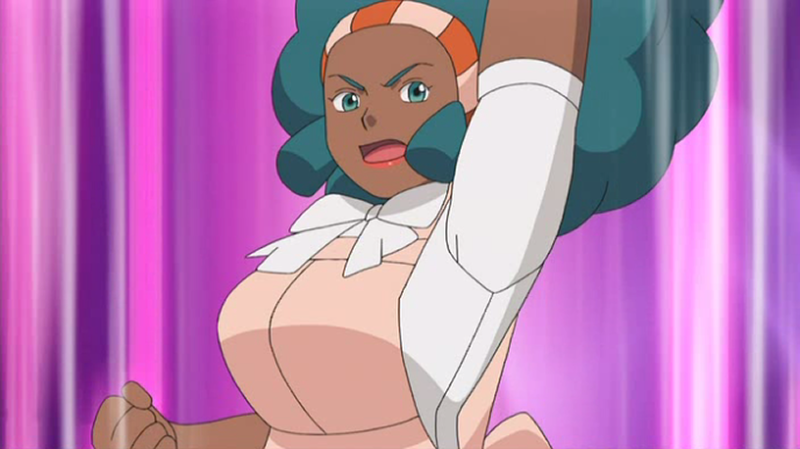 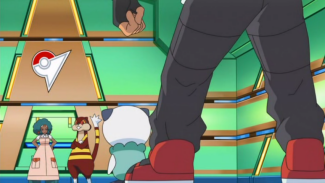 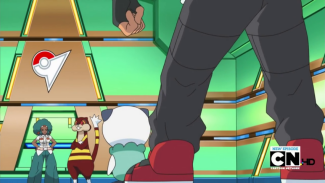 In the episode known in the U.S. as "Rematch at the Nacrene Gym!" 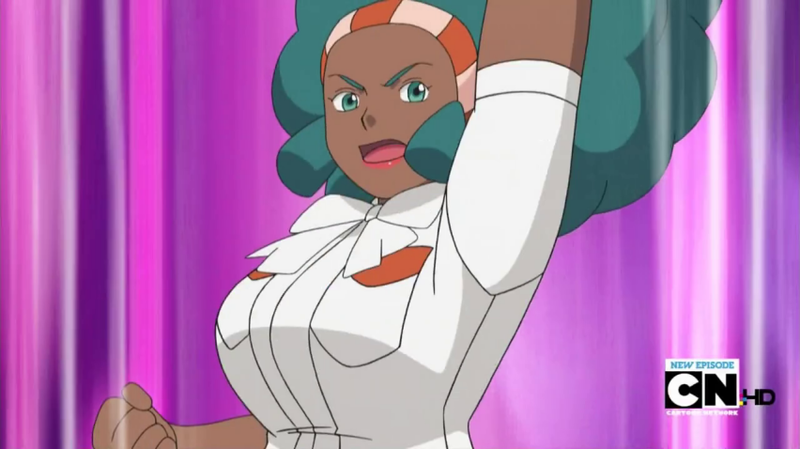 the Gym Leader Aloe had her apron removed. This edit was most likely made by the original Japanese animators because the older design for Aloe used in this episode resembles the Mammy archetype. Like in the last episode, we get a shot of Aloe putting on her apron here. And, just like in the last episode, it ended up getting completely reanimated. 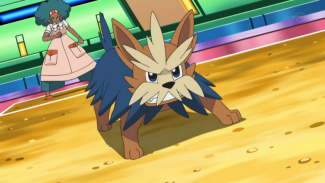 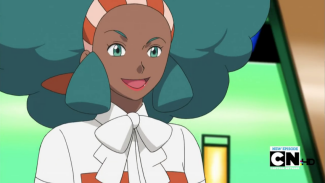 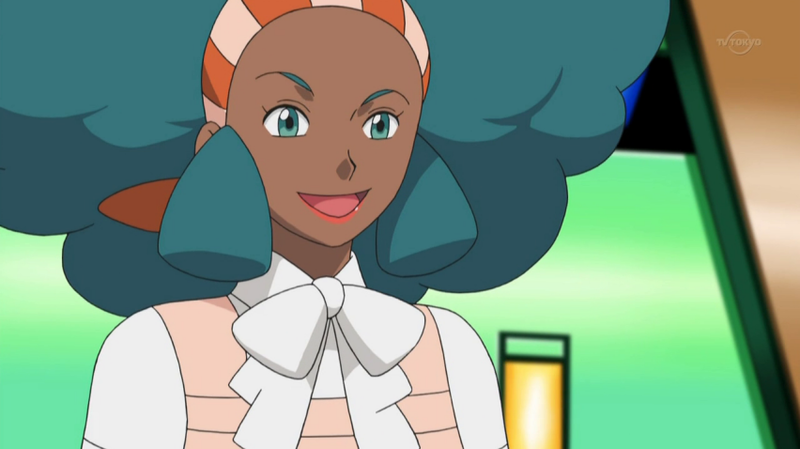 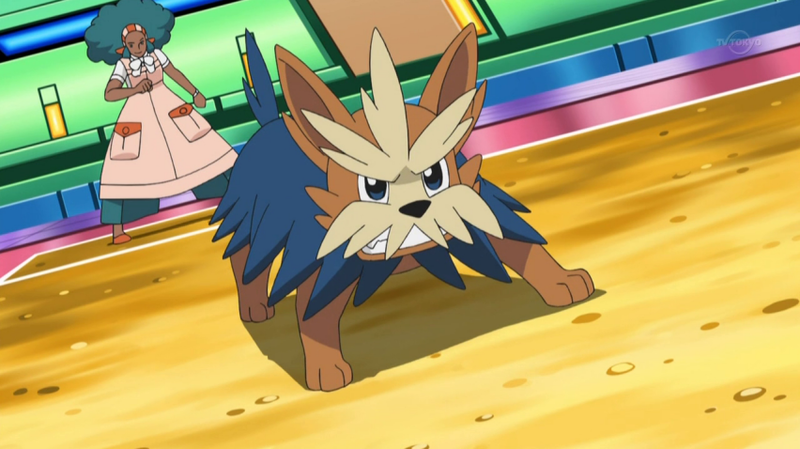 The animators corrected a coloring error around Aloe's neck while in the process of making this edit.